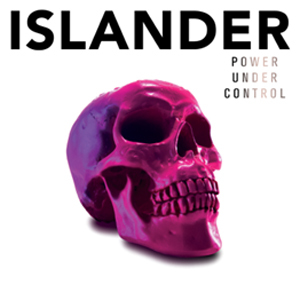 ISLANDER has announced details behind Power Under Control, their upcoming new album set for release on August 5th, 2016. The first video and album’s commencing track “Darkness” has also been released. Power Under Control features the recording debut of official members Arin Ilejay (ex-AVENGED SEVENFOLD) and J.R. Bareis (LOVE AND DEATH), further proving ISLANDER are a part of rock’s DNA as much as their contemporaries. Watch the “Darkness” video on KNAC.COM right HERE. ISLANDER founding member and vocalist Mikey Carvajal was joined by LOVE AND DEATH/KORN wunderkind guitarist J.R. Bareis in 2015, leading the band on a powerful new path. The seeds of this relationship were planted during 2014’s Rockstar Energy Drink Mayhem Fest, when word of ISLANDER’s explosive performances quickly spread to the tour’s headliners AVENGED SEVENFOLD and KORN - who flocked to watch the band almost daily. Bareis, who was then guitar tech for KORN’s Brian “Head” Welch, soon found himself in the role as ISLANDER’s new guitar player. Shortly thereafter, ISLANDER recruited bassist Zeke Vasquez (ex-FOREVERATLAST), and newly exited AVENGED SEVENFOLD skinsman Arin Ilejay became a permanent fixture snapping sticks and cymbals behind the kit. In February 2016, ISLANDER again partnered with producer Cameron Webb (MOTORHEAD, ALKALINE TRIO) at NRG Studios and over the next eight weeks. the newly ignited foursome got to work on Power Under Control, recording twelve original tracks showcasing the quartet’s deeper complexion. Another familiar face in the fold is BAD BARINS frontman HR on the anthemic sing-along “Think It Over”. ISLANDER will hit the road in support of Power Under Control, kicking things off at the Chicago Open Air Pre-Party on July 14th. Additional dates will be announced next week. Various pre-orders for Power Under Control include limited edition colored vinyl, a variety of merchandise types, CDs and more are available now at VictoryMerch.com. All packages include an instant download of the song "Darkness". "Darkness" is available now on Apple Music, Spotify, Google Play, Amazon Music and everywhere digital music is available.